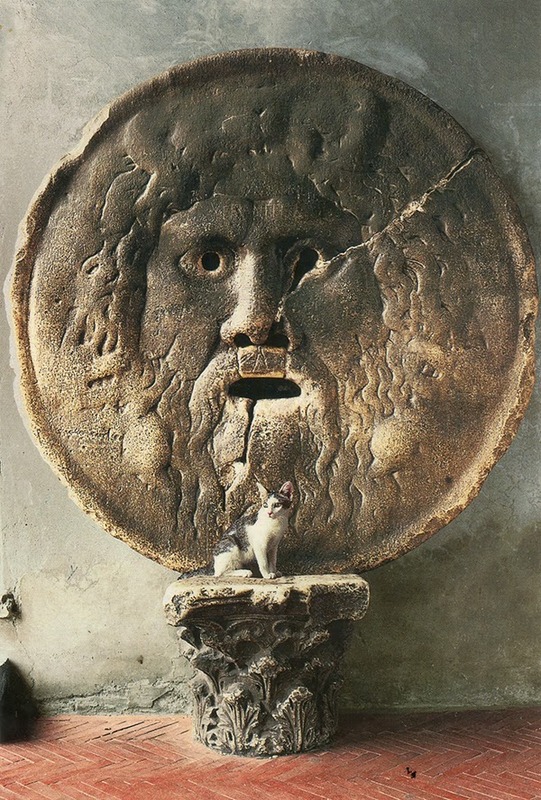 This Roman kitty is sitting in front of Bocca della Verità - The Mouth of Truth. Rumor has it the statue will bite your hand off if you're telling a lie. The Mouth Of Truth makes an appearance in the 1953 movie Roman Holiday, in which Audrey Hepburn and Gregory Peck challenge each other to tell the truth in front of the statue. P.S. Roman cats at the Spanish Steps and the restaurant Da Meo Pataca. That cat is looking awfully shifty. It either broke the statue or is about to tell a lie. I love that! So perfectly composed. The cat was certainly posing well for this shot. Kitty doesn't look too worried. Don't cats always tell the truth, LOL? That is an amazing pic. Have a marvellous Monday. That sure is a sweet one! This is a totally amazing picture!!! The cat looks so tiny in front of the huge Mouth Of Truth. This should be on a magazine cover, it is so startling and cool! That's a marvelous picture! Love it! I do hope the mouth does not bite the cat. Nice pose of cat. The statue just looks like it's surprised the cat is so close to its mouth. The cat, meanwhile, just looks like it doesn't care one way or another... classic cat move. I remember that film!! Gorgeous! Le chat et la vérité... tout un symbole. Un joli pied ne nez à tous les imbéciles qui trouvent les chats hypocrites. Wow, that is a terrific picture! That kitty does not seem at all afraid of the Mouth of Truth. WOW! What a spectacular spot to pose for a photo!!!! I didn't even notice the kitty until I read the caption. 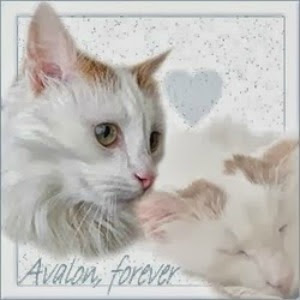 I love to visit to see your kitty photos, we love our cats, such enjoyment!! That's some kind of truth serum, for sure! I didn't even see the kitty cat at first. :) How cool! Very, very cool! I love this photo! Oh I loved Roman Holiday. Had forgotten about this statue. It's so cool the way the kitty blends in, I didn't even see him at first. What a great photo! I love how that kitty jumped up on that pedestal in front of that big statue. 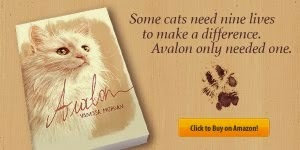 Goh Vanessa, persoonlijk vind ik dit één van de mooiste foto's die jij ooit van katten nam, wat een knappe opbouw! Wow, that is one great photo.